Pioneers of the “Perfect in form and function” concept. AEG are one of the oldest manufacturers of appliances in Europe. They are historically significant for creating the world’s first Industrial Designed products, emphasising a marriage between function and form. Best known for their consumer and household appliances, AEG have dabbled in all kinds of major enterprises from Aeronautics to Telecommunications. Since 1994 the AEG household appliances division has been owned by Electrolux. 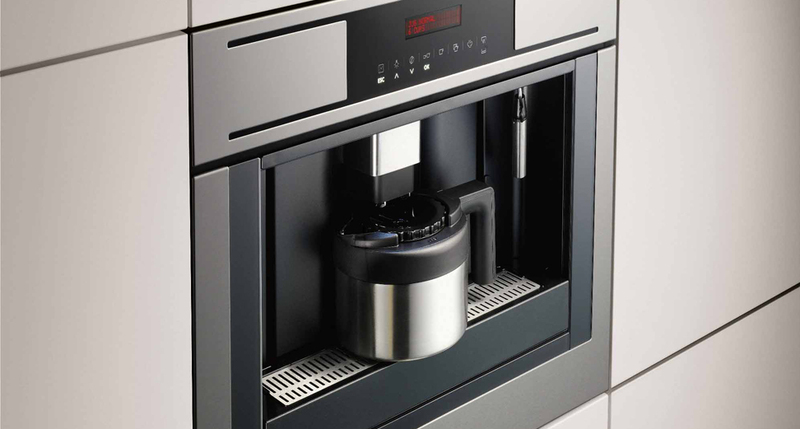 AEG’s technical and engineering prowess shines within their range of kitchen appliances, which seem to feature new and innovative technological achievements in every product. It must be said that this technology is also shared to a lesser degree with its sister brands Electrolux and Westinghouse. Their philosophy of “Perfect in form and function” means their appliances are meticulously designed and engineered, creating beautiful – yet highly functional – products. Very few are disappointed with an AEG appliance.